Use as a canvas for a unique pin design! 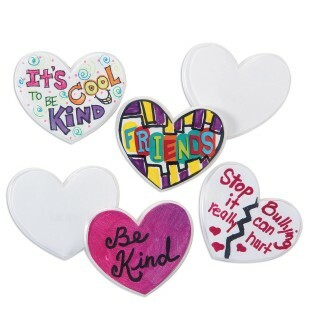 Use the paper heart pin as a canvas for your own unique pin design! We recommend markers, colored pencils, and stickers. 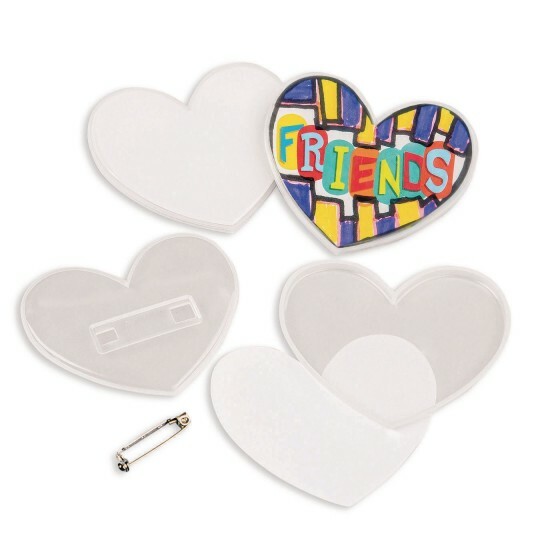 Decorating supplies sold separately. Pin pops apart for easy insertion of the paper shape. Finished pin is approximately 3” x 2-1/2”. The concept of these are great. 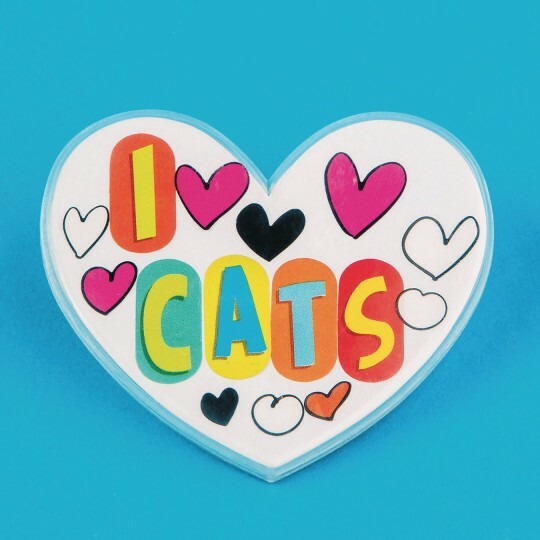 A fun Valentine's-Day pin anyone can make. Making pins can otherwise require a whole dedicated device. But the end-product of these is impacted negatively by the materials its made of. It's a pretty thick plastic so whatever you create on the paper inside is difficult to see once the pin is assembled. A bit of a bummer. The paper insert is also made of very thin/flimsy paper so applying any kind of complex treatments to it like watercolor is not possible. Otherwise cute! Simple to execute.Used stickers and sequins as well.Great for a quick turn-around around project.